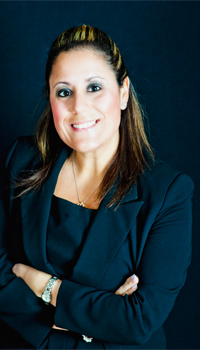 AnneMarie Rizzo is a former prosecutor with extensive trial experience in the State of Florida. AnneMarie leaves a legacy at the Prosecutor’s office of winning four separate, consecutive jury trials in the same trial week. AnneMarie has gained the reputation of being an aggressive and zealous advocate for her clients and uses science in fighting her cases every day. AnneMarie has taught law enforcement, prosecutors and defense attorneys across the State of Florida and has been invited to teach about Forensic Sciences on the State and National levels. In 2015, AnneMarie earned the American Chemical Society- Chemistry and Law Forensic Scientist designation. AnneMarie is expected to receive a graduate certificate for her studies in Forensic Toxicology from the University of Florida in Summer 2016. Additionally, she will graduate from the University of Florida in December 2016 with her Master’s Degree in Forensic Science and Summer 2017 with her Masters Degree is Forensic Toxicology. Furthermore, AnneMarie is a 2 time graduate of the Axion Analytical Lab’s Forensic Chromatography Course as well as successfully completely Axion Lab’s Forensic Drug Analysis course and Forensic Principles of DUI-D course. AnneMarie also attended and successfully completed the Trial Advocacy School at the National Advocacy Center held at the United States Department of Justice in South Carolina in 2007. AnneMarie attends several science based seminars each year to continue her scientific trainings. AnneMarie has been featured on multiple news media stations due to her advocacy for her clients such as the local ABC, CBS, and Fox News affiliates and has been featured in the local newspaper because of her unique legal arguments and cases she has handled. AnneMarie also has published 5 books on “How to Survive a DUI” in the various Florida counties that she practices. AnneMarie serves as the President of Sarasota County, Florida Association of Criminal Defense Lawyers and as a board member for the statewide Florida Association of Criminal Defense Lawyers. She is also a member of the American Chemical Society, DUI Defense Lawyers Association, National College of DUI Defense, and the National Association of Criminal Defense Lawyers.